T&W is a trust-worthy manufacturer specializing in the design and manufacture of cardboard point of sale displays, paper package boxes and paper cartons. As an expert in this field, we pride ourselves on professional design and satisfied production. Our products are exported to Australia, Europe, America, and sold to many big supermarkets such as BestBuy, Costco, Wow, Target, Carrefour ,K-mart, Tesco ETC. 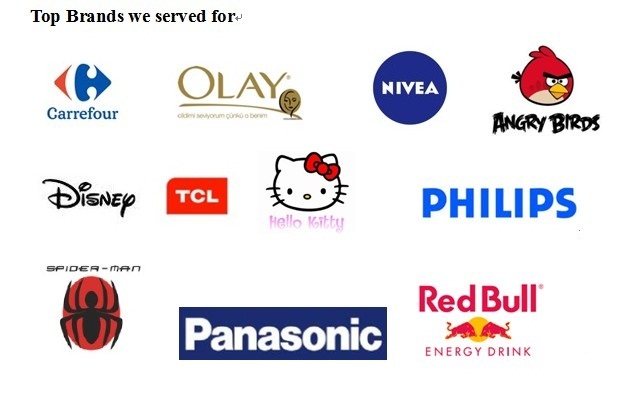 We serve for many big brands such as, Panasonic, Revlon, Redbull, Hello kitty,Disney, Spide-man, Olay,Philips，Angry Birds ETC. We blend your product, your goals and our experience in shopper marketing into a key tool for your success. Bring you more than just the display and package.